Where are the best places to go shopping in Key West, Florida? We are happy to answer that question and offer our top picks for unique fashion, gifts and wearable art and one of a kind finds. Three of the best Key West boutiques to visit are Hands on Gallery, Besame Mucho and Vignette. Oscar Wilde said “One should either be a work of art, or a wear of art” and our first boutique we’d like to introduce you to agrees. Welcome to Hands on Key West. Hands on is more than a clothing store, it is a gallery of handmade art-to-wear. Elegant, functional and fun original clothing, accessories and handcrafted jewelry. Coco, Donna, Lynn and Marguerite, owners of Hands On Gallery, had one vision and mutual admiration of art to wear and making unique fashion accessible in Key West. Hands on Gallery is a special Key West boutique that sells high-end handmade woman clothing and art to wear. Next time you are in Key West visit Hands on Gallery. Located on Southard Street, in a cozy cottage one block off Duval Street is where you’ll find Vignette, a Key West Boutique for Women. Everyone has a story they want to tell with their clothes -- everyday people create vignettes about themselves. Friends Tania Cole (Vignette) and Meredith Bollong (Besame Mucho) opened Vignette just over a year ago and we are glad they did. Together they have brought us another unique shopping experience in Key West. All clothing and accessories are carefully selected and curated. Are you searching for the go -to tee, sundress, outfit for night on the town, or piece of clothing that won’t go out of style but fits your style? Shop at Vignette where there is something for everyone. Items are priced from practical to spectacular. 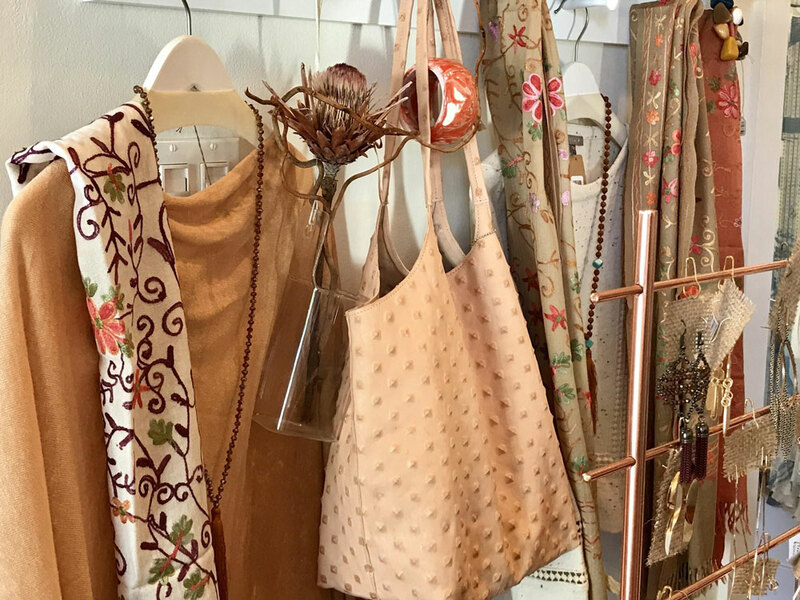 Let Tania and her staff at Vignette help you find the perfect garment, gift or accessory that meets your style and needs. We will keep you updated on any new arrivals and answer that burning question - Where to shop in Key West. In the meantime, share your fashion finds with us #lovethemarker.